Why not outsource your bookkeeping and payroll? Keeping on top of ‘the books’ and coping with a weekly or monthly payroll can be a nightmare for business owners, so why not outsource your bookkeeping and payroll to Castletons? 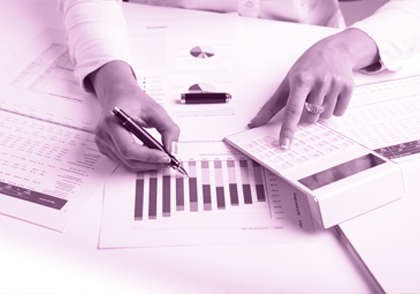 We can help you with all your general bookkeeping requirements, either at your offices or ours. Whether you are just starting a new business or simply want to simplify your business life by outsourcing the bookkeeping, we are happy to help. From bank reconciliations to trial balance, we’ll keep everything in first class order. And there’s a hidden benefit, too… You’ll save money on the costof preparation of your annual accounts if we’ve already done all the bookkeeping. Payroll can be time consuming and complicated and can divert resources from the core activities of your business. We can address this by providing a complete outsourced service, whatever the size or complexity of your business, or simply provide support when needed. Weekly or monthly, we have a fixed price menu based on the number of employees on the payroll. It’s inexpensive and for many clients, it’s a godsend. There’s a hidden benefit here too… When it comes to monthly, quarterly or annual reporting to HMRC, you have the peace of mind that comes from knowing all our figures are all correct! Looking for an exceptional accountant in Wilmslow or Stockport? If you’re thinking about changing your accountant, we’ve got a simple system to make it quick and painless. We do everything for you – including contacting your old accountant. It’s all part of the service. If you’d like to get the ball rolling, click here or call now on 01625 524127.
Business Planning and Support Expert help and advice, whenever you need it. Running a business can be a big challenge and there will often be times when you need some expert help and advice. Our Business Planning and Support team is always available to give you the benefit of vast experience and invaluable expertise.